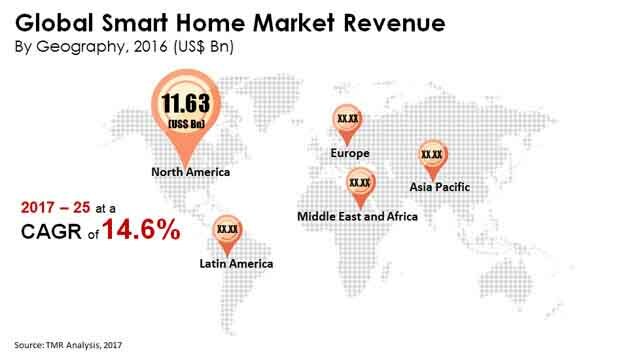 The global smart homes market is envisaged in a report by Transparency Market Research (TMR) to witness a moderate degree of competition due to the presence of a small number of players. However, the factor of high profitability could encourage more players to enter the global smart homes market during the forecast period 2017-2025. Merger and acquisition and constant improvement of product portfolio are expected to see high adoption among players to gain a stronger share of the global smart homes market. Some of the leading players of the global smart homes market are Schneider Electric SE, Johnson Controls, Inc., and Honeywell International, Inc.